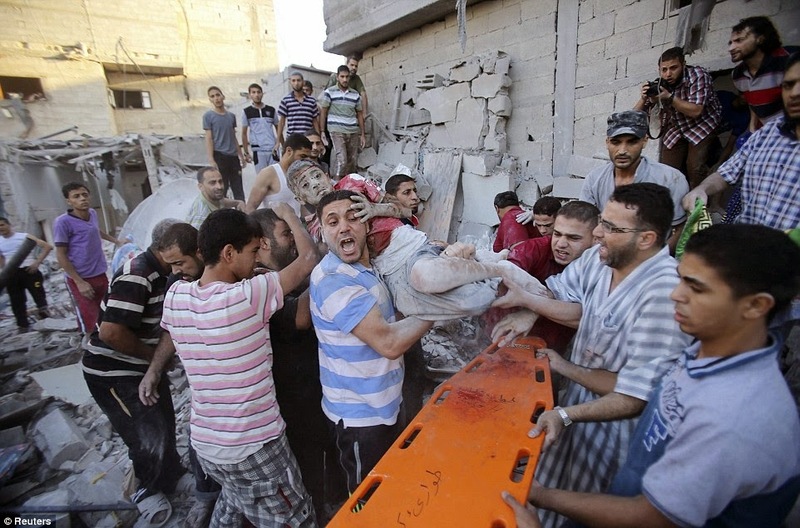 The war between Israel and Palestine has entered Day 28 and what's happening there is sickening. 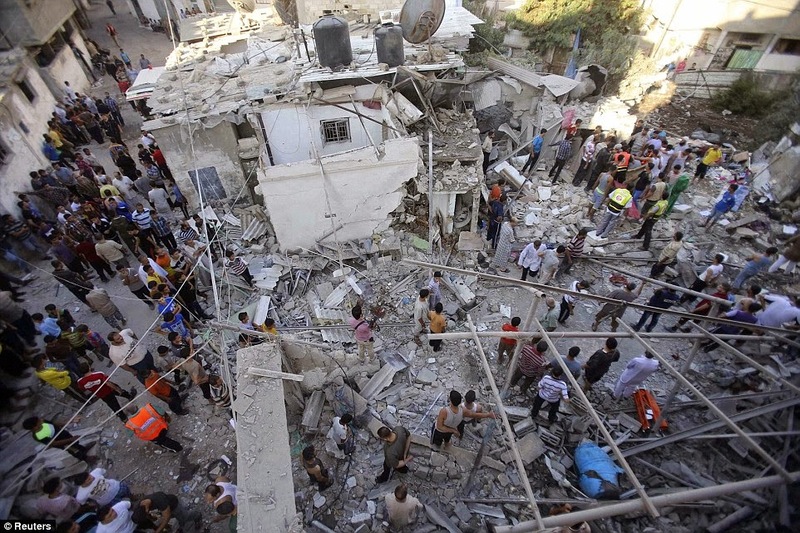 Over half a million people in Gaza city have been rendered homeless with 270,000 crammed into 90 crowded UN shelters, some of which have had no running water and electricity. 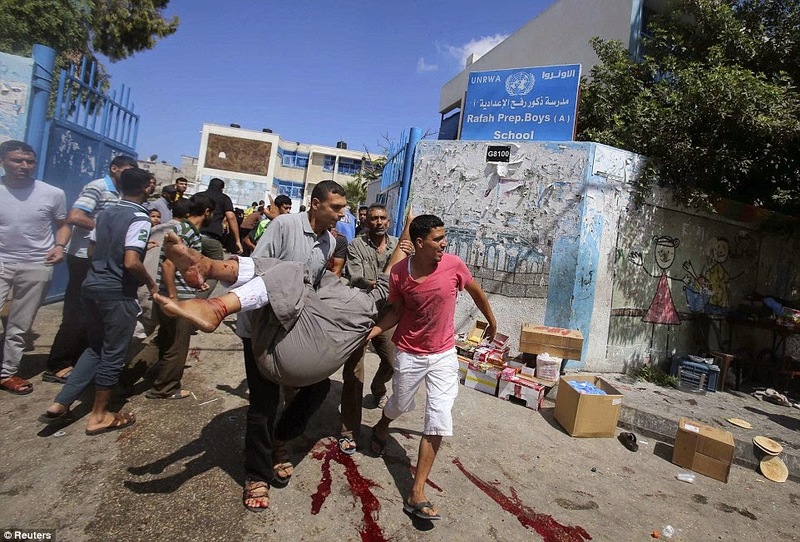 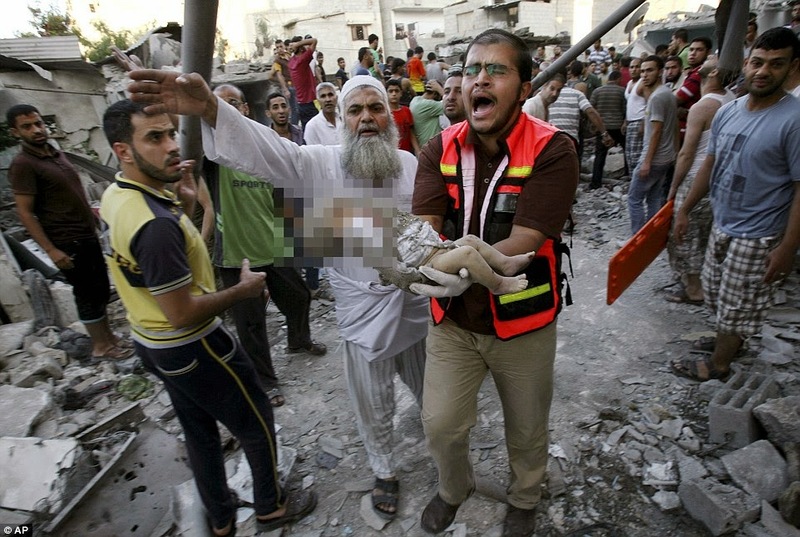 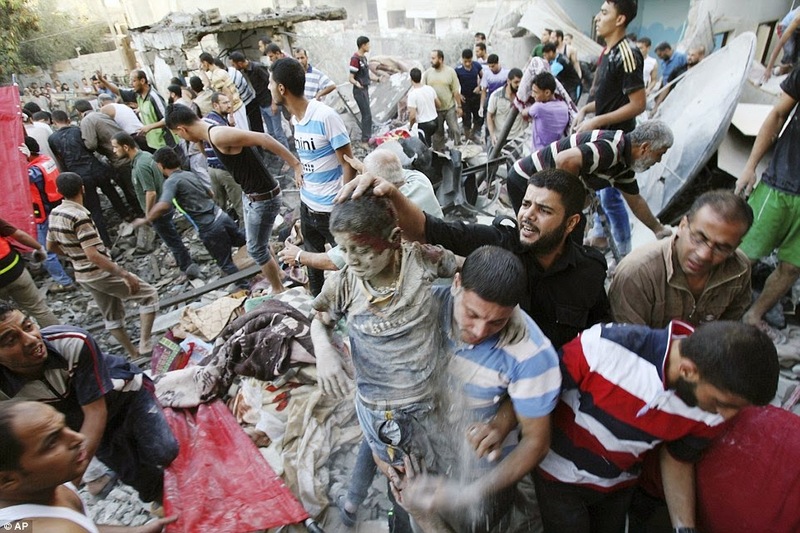 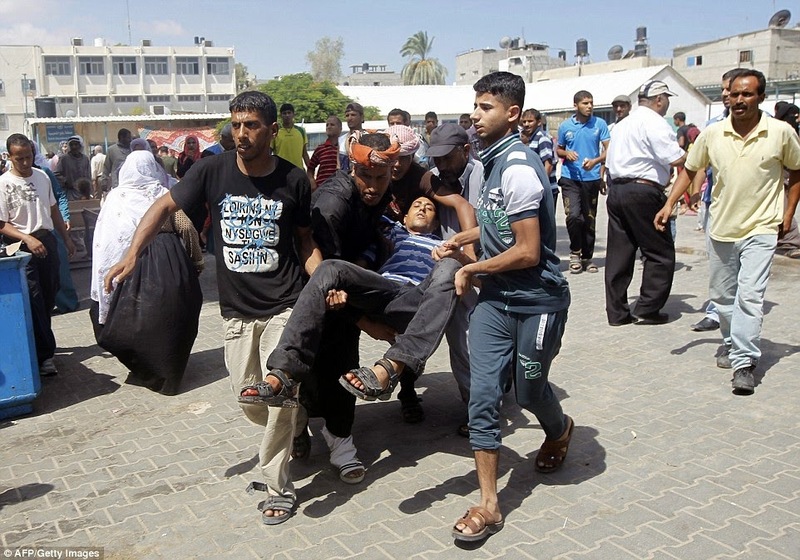 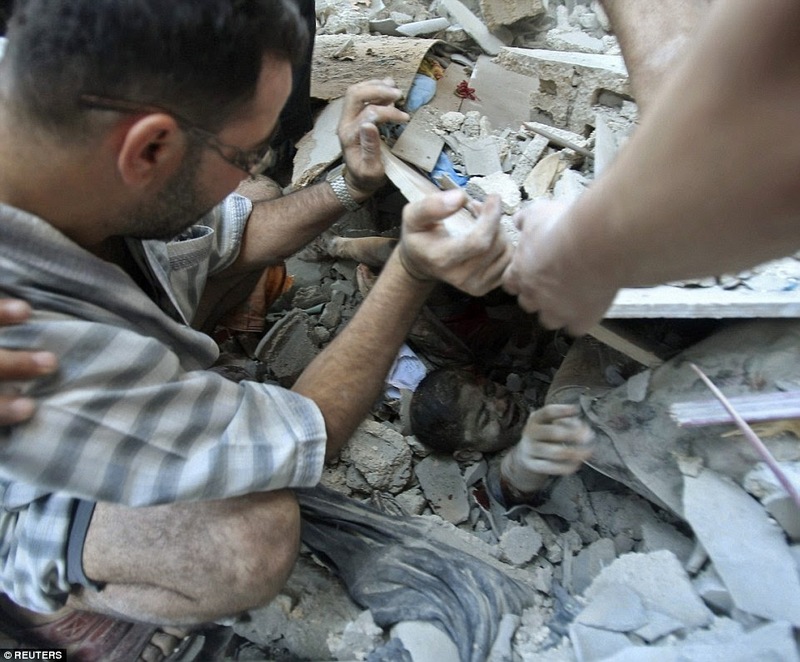 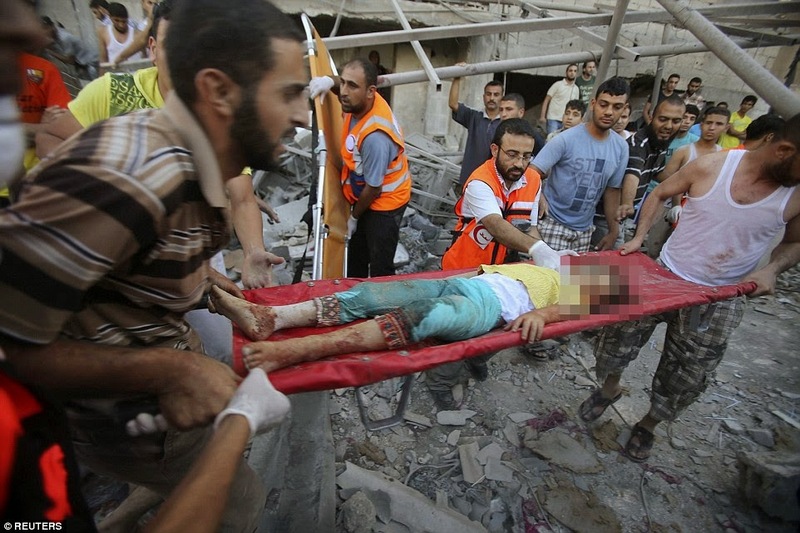 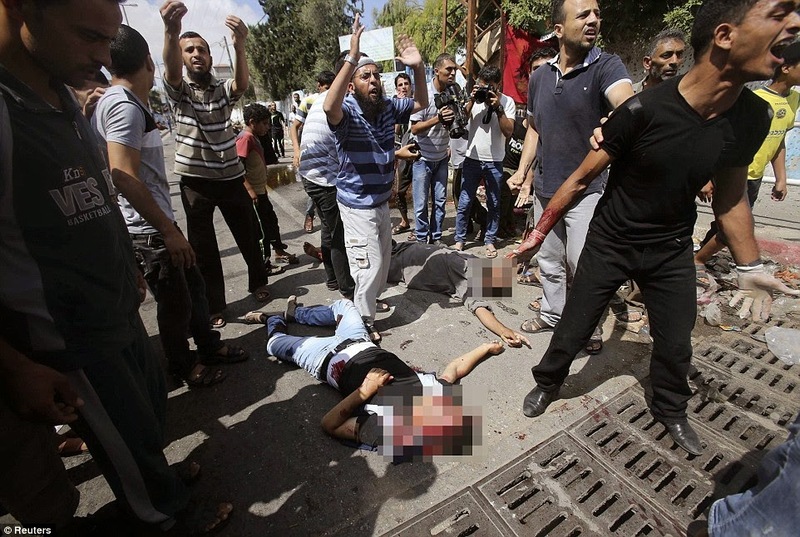 At least 1,700 Palestinians have been killed while 69 Israelis have been killed. 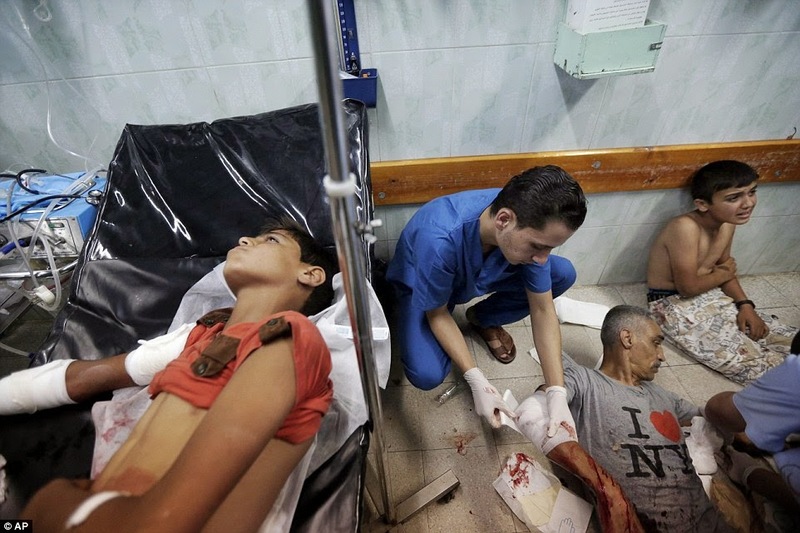 Shelters full of children in Gaza have been bombed, medical supplies have run out, many hospitals damaged and medics are unable to go to work. 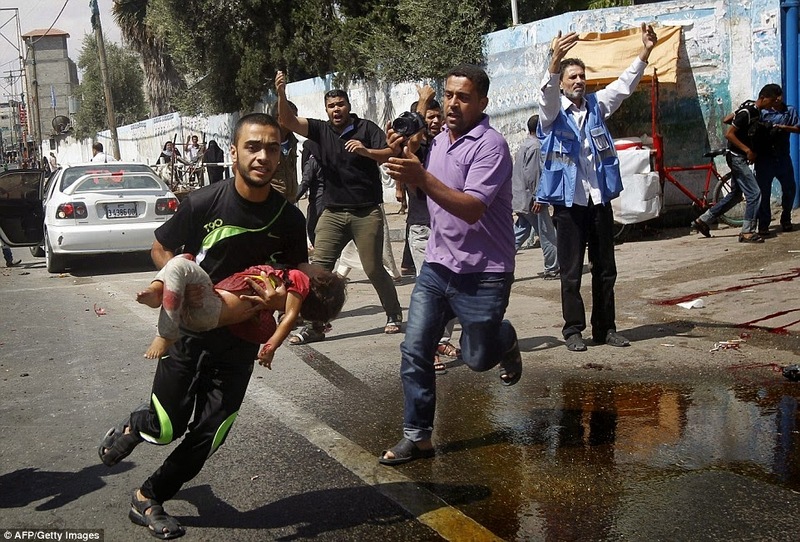 Many UN facilities sheltering displayed Palestinians, especially women and children have been hit, killing so many little children in the city. 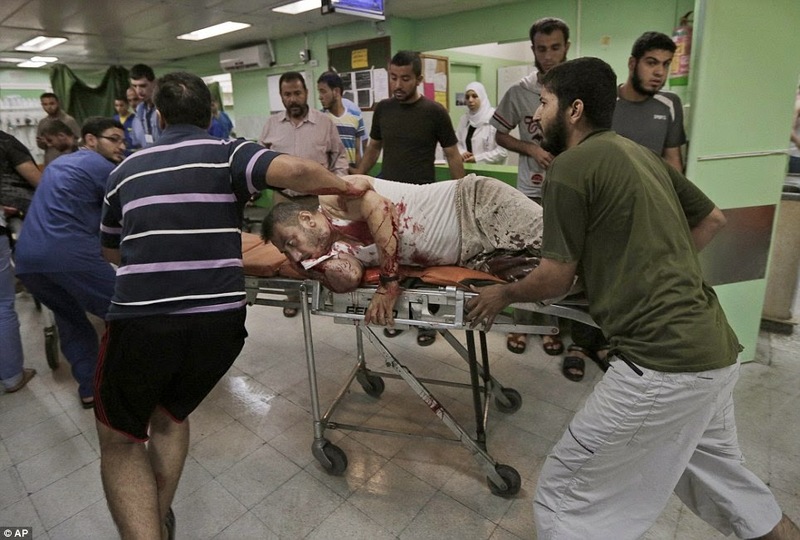 The conflict between Israel and Palestine has been going on for decades but this particular one started on July 17th after Gaza attacked Israel with rockets following failed peace negotiations. 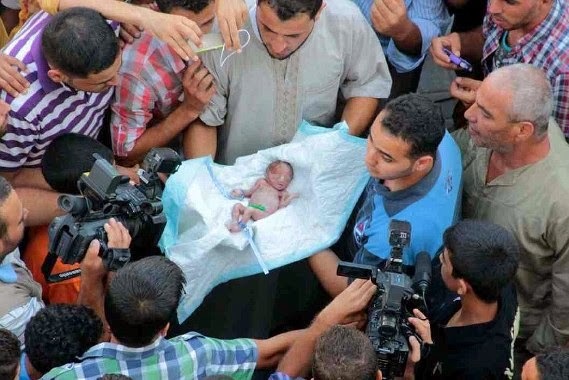 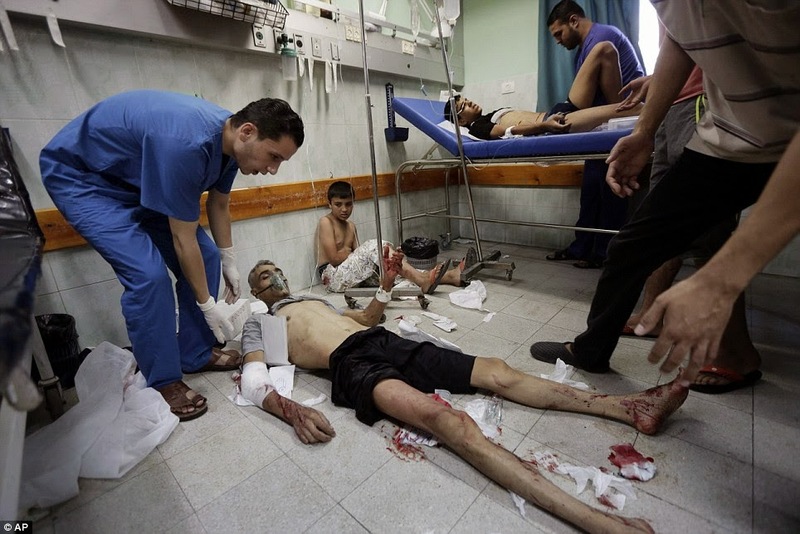 Israel replied with both air and ground invasion of Gaza City....and the world is just watching. 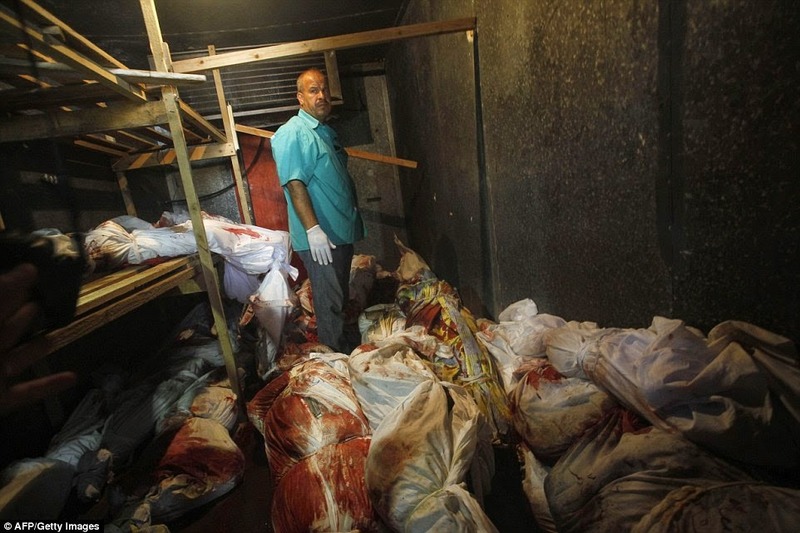 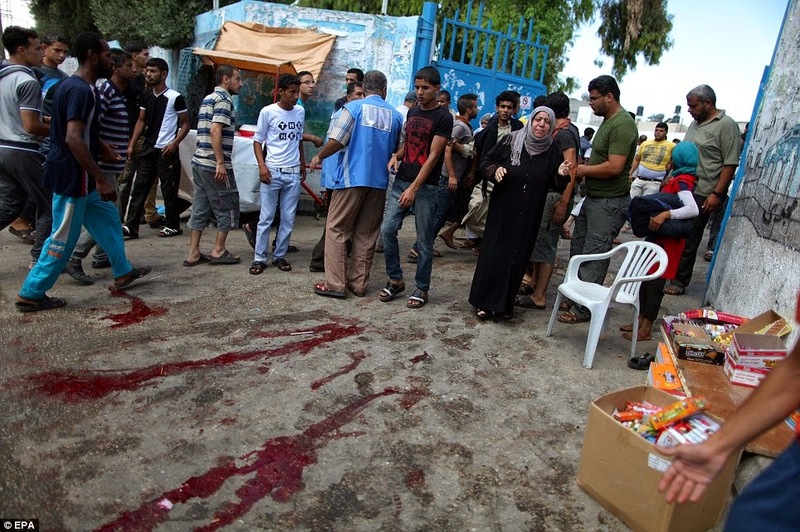 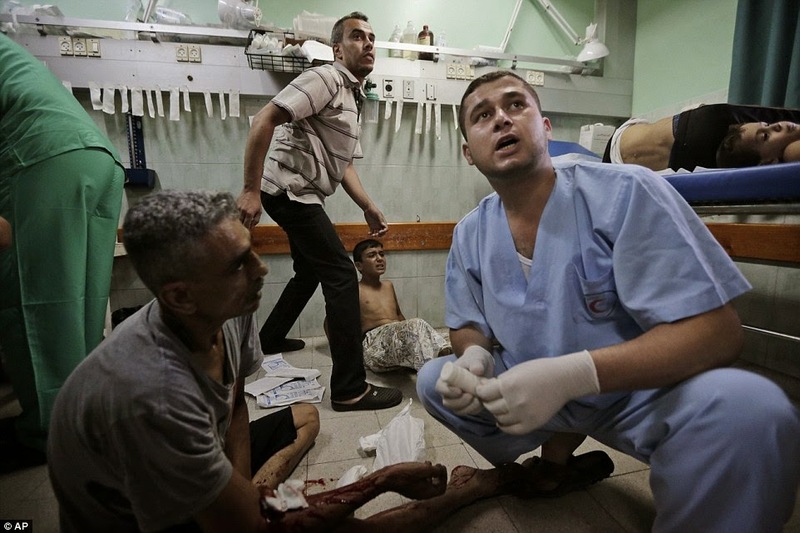 A medic stands among bodies yesterday which were placed hastily in a walk-in vegetable fridge in Rafah, Gaza.